European shortsea shipping line and multimodal operator Samskip is planning a pre-Brexit peak volume surcharge on shipments to the UK. The company told customers it was already seeing increased demand for container services to the UK as an alternative to using ro-ro services through the ferry ports. It added that demand was likely to outstrip available vessel capacity in the run-up to 29 March when the UK will leave the EU. He added that the company had secured additional vessels and additional truck and rail capacity for the expected pre-Brexit rush. The €243 per shipment surcharge will levied on all shipments that exceed a shipper’s surcharge-free weekly allocation, which is calculated based on the volumes shippers put through Samskip’s UK-bound services last year. Customers were told they would be offered the surcharge-free weekly allocation on all cargo with load dates during February and March 2019. “The Samskip pre-Brexit peak volume surcharge will apply to each individual shipment loading beyond your allocation,” Mr Feuvrier explained. He also revealed that, from 1 February, the line would introduce a €98 a day quay rent surcharge on containers not collected or delivered after their contractual free time. This would cover the increased costs of building up the line’s stock of equipment. Mr Feuvrier said: “Furthermore, we anticipate the market intention to increase safety stock in containers. To facilitate your potential structural storage requirements we can propose, on a case-by-case basis, non-pallet-wide 40ft equipment, where we can quote based on storage location, terms and condition. 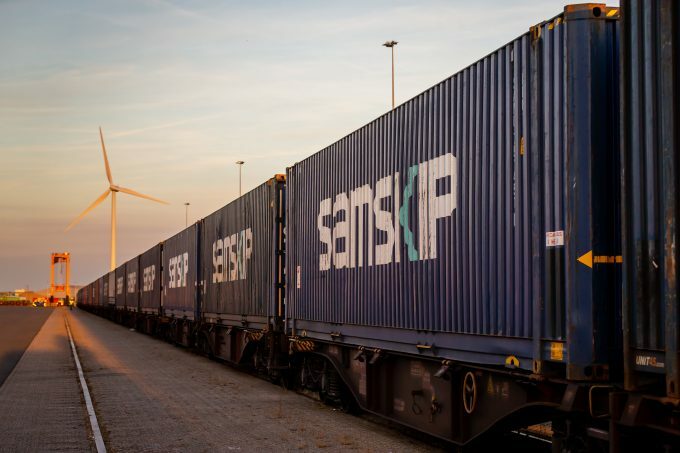 Samskip’s Europe-UK network comprises 14 weekly sailings linking Rotterdam, Amsterdam and Gent to the UK ports of Hull, Tilbury, Grangemouth and Belfast.